overall the model looks good but the left track broke within the first week and the boom does not go verry high or low. I've this model still as a display model and a dirty play thing. But when I bring it in, I wash it before I display it. I think this i awsome. But, Norscot I tthink to improve it, make a muddy series of construction line of machines! Norscot is #1 ! Just buy it! No need to think twice! Excellent quality. The swing motor is a little loose but that's all. Nice model but it's not as movable as the 5080. 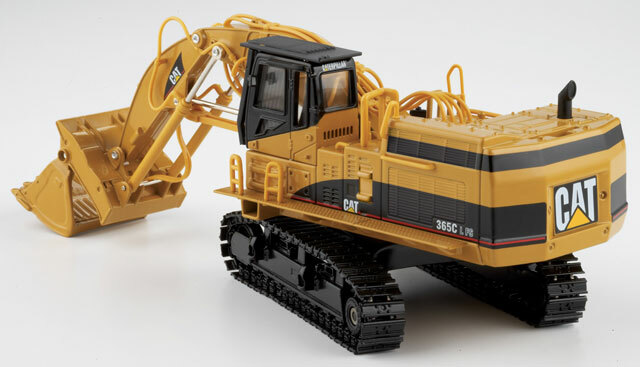 I would LOVE to see more face shovels from cat/norscot like a 1/50th scale 385DFS 5230FS and it would be GREAT to breath life into a 5110FS. hint hint VICKI!!!! 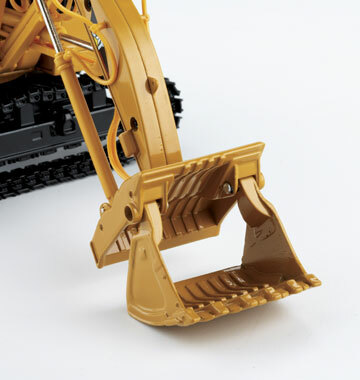 I wish the front shovel operation of the cat 5080 which I would recomend instead of this.